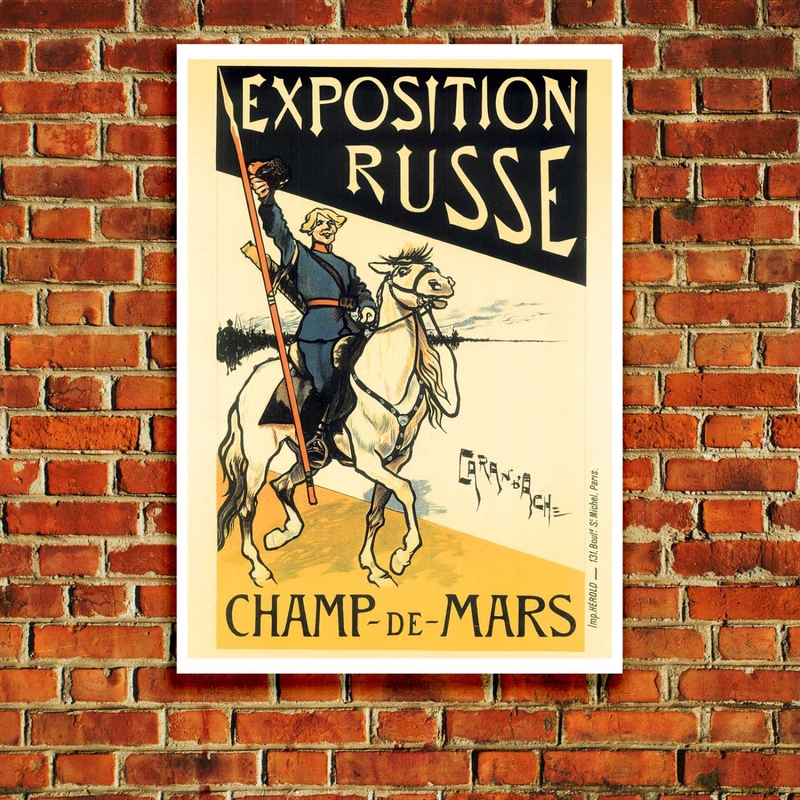 Emmanuel Poire was born in Russia and used the Russian word for pencil 'karandash' as his 'assumed name'. 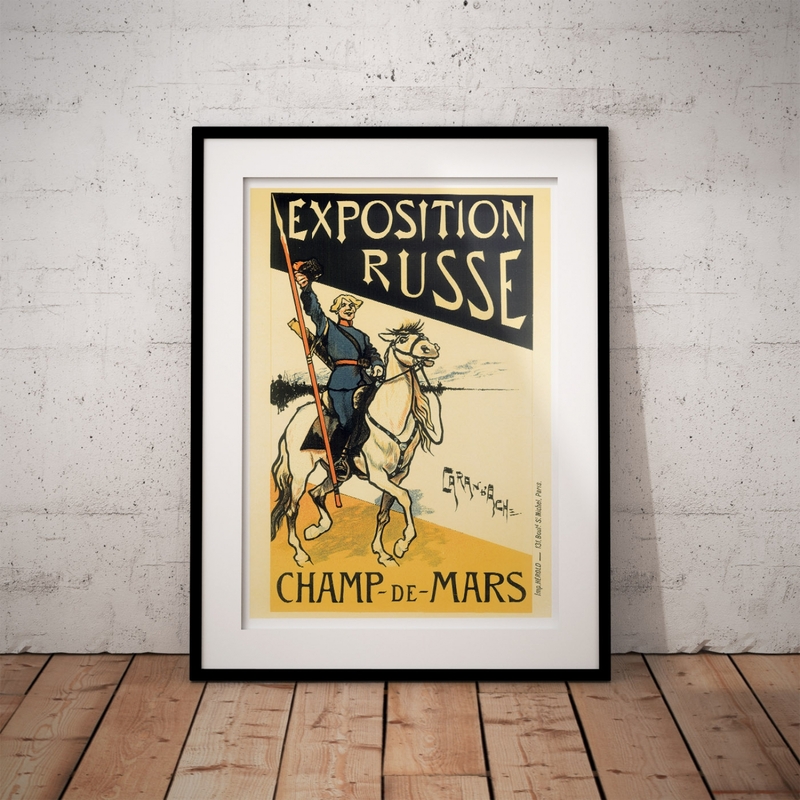 He became a renowned illustrator and was expert in depicting military subjects. 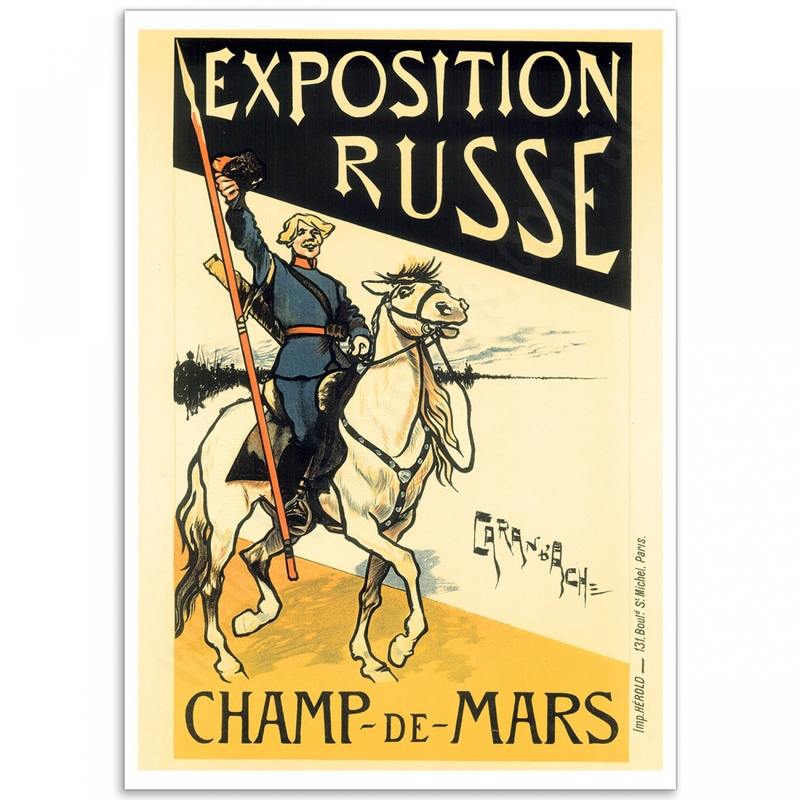 This wonderful poster for the Russian Exhibition at the Champ de Mars in Paris shows a proud Russian soldier mounted on a magnificent white horse, with the Russian cavalry behind he gestures for all to join him. 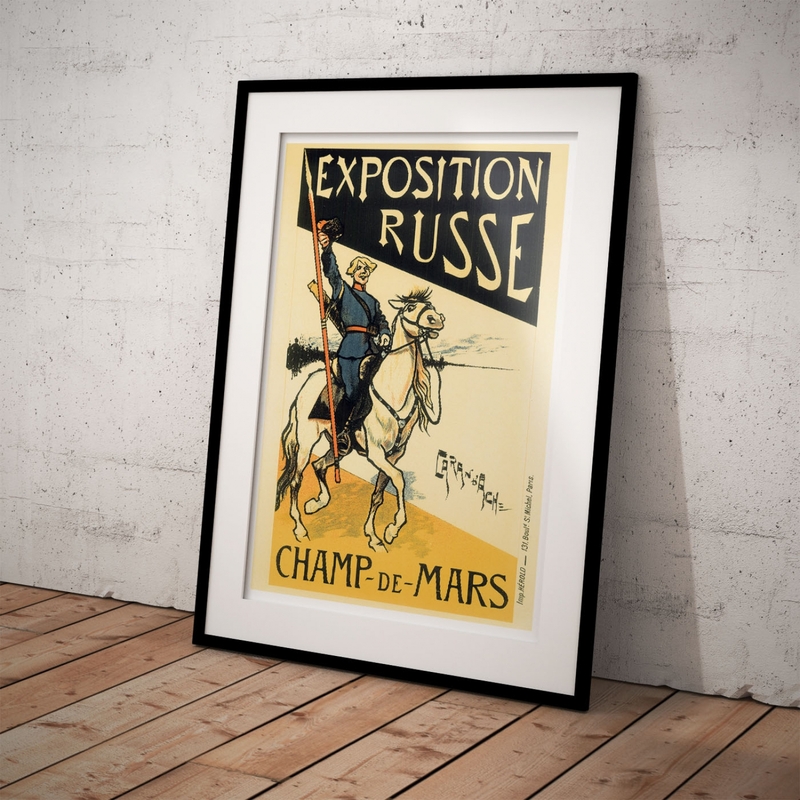 The 'Exposition Russe Champ de Mars by Caran d'Ache' Poster is a reproduction of a Vintage Art Nouveau Poster. 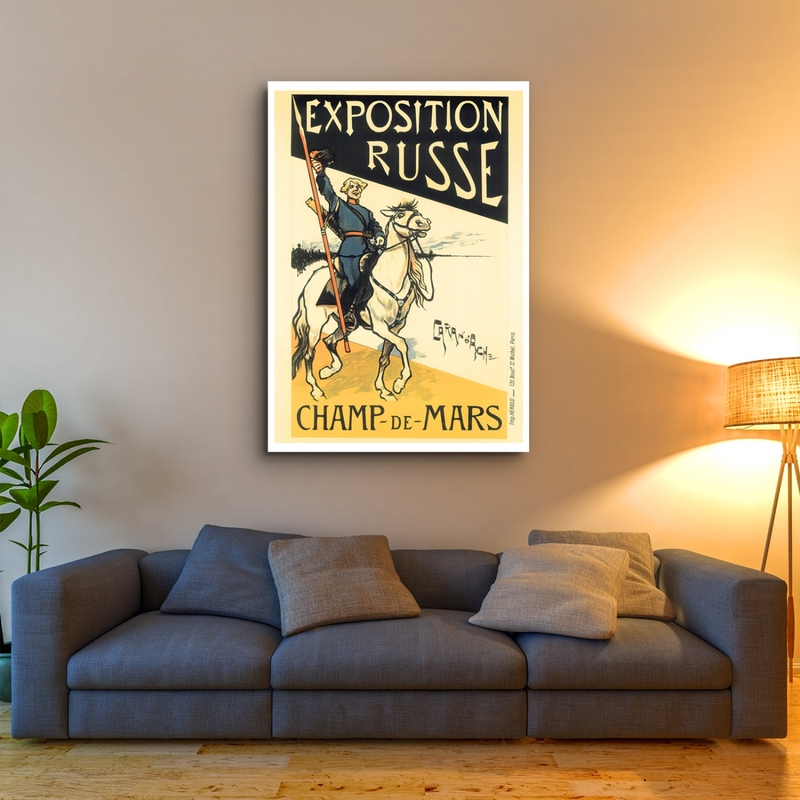 Eugene Grasset Poster- Salon des CentLe Salon des Cent was a group of one hundred artists.Salon des ..
Georges De Feure Poster - Salon Des CentGeorges De Feure was one of the most prolific designers of t..